Tony George, Cairns most popular musicians and entertainers. 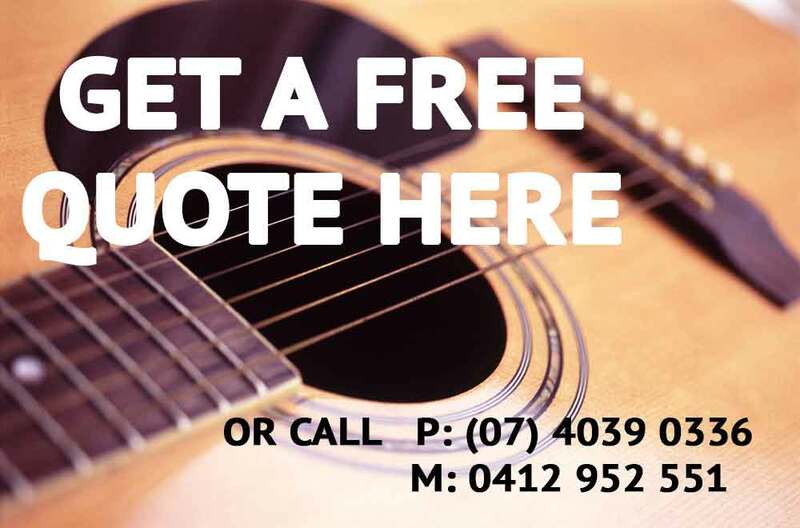 Tony George is one of Cairns most popular musicians, entertainers and bands, providing 20 years of high quality musical entertainment and MC services, tailored to suit the needs of all of his clients. Born and raised in Melbourne, Tony specializes in corporate events, weddings, functions and parties of all natures. He provides versatile and professional entertainment for any theme, ensuring a fantastic experience for all. Tony owns and manages Tony George Entertainment, providing flexible and affordable entertainment ranging from him performing as a solo singer guitarist, duo, 3 piece, 4 piece, 5 piece, 6 piece and 7 piece band. Tony also hosts and MC’s a range of conferences, corporate events, Weddings, Awards nights etc and also works for retail stores spruiking, including voice overs for ads, documentaries and films. With his great skill of being able to “read a crowd”, and lots of interactive audience participation included in each show, each night provides a wonderful experience for all. Tony hires only the best musicians, and can himself not only sing and play guitar, but also drums and piano. Tony has performed as a musician in front of Prime Minister John Howard and other Government dignitaries, celebrities including Lleyton Hewitt and family, TV and movie actors and a host of VIP’s from around the globe. Highlights of his career have been band musician bookings for company’s events overseas including New Zealand, Fiji and Asia and corporate shows in front of 5,000 guests. Tony George has performed as a musician / entertainer for a huge list of world-wide companies including Ford Motor Company, Coca-Cola, Commonwealth Bank, McDonald’s Australia, Macquarie, Metcash, IGA Australia, Hyundai, Boston Scientific University, Novartis and GM Holden. A big crowd pleaser is his “Nearly Diamond Tribute Show”, a Neil Diamond Hot August Night Tribute that Tony has performed all over Australia to thousands of guests. Other theme nights he and his band have covered are 70’s and 80’s themed shows, Tropical Theme nights, Toga parties, Australian bush band night’s, Pirate nights, Bush Band dances, 50’s Rock and Roll nights, 1930’s Great Gatsby Theme Nights and even Arabian and Bollywood themed events. With 20 years experience in public performances, Tony provides a professional, well organised performance every time. Tony understands the importance of providing high quality, professional musicians services for the needs of his clients. As MC and host of major conferences and corporate events, Tony is in high demand due to his good humored, likeable and precise delivery to conference guests, whilst ensuring “on time” performances of each session through out the day and seamless transitions from speaker to speaker. Tony has that innate skill in building great rapport with groups through his great energy, keeping conferences moving, on-time, entertaining and enjoyable.Tony has also hosted many Awards and Gala nights for company’s from all over Australia and the rest of the world. If your event needs a pair of professional and safe hands for the task, book with Tony and his team now. Please email Tony on tgent@ledanet.com.au or phone him on 0412 952551 for the best in entertainment.